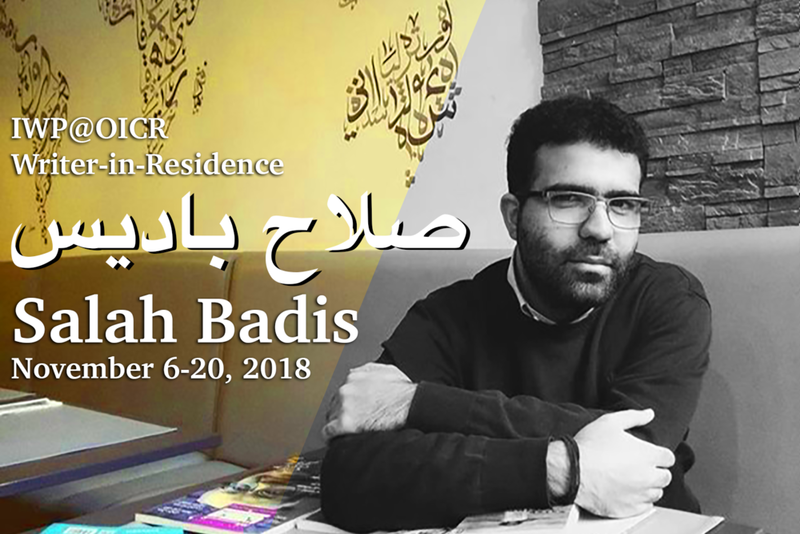 Algerian poet, journalist, and translator Salah Badis is a Fall 2018 Resident at the International Writing Program, University of Iowa, and the inaugural IWP@OICR Writer-in-Residence. A freelance journalist since 2012, he is a musical and cultural researcher for both print and radio and a founding member of Nafha, one of the most important cultural magazines in Algeria. His poems and essays in Arabic have been translated into French, English, and Turkish, with his first volume of poetry, ضجرالبواخر [The Boredom of Ships], published in 2016 by Al Mutawassit Press (Milan and Beirut). In 2017, he worked in the Algerian radio archives with French curator Yasmina Reggad for the project We Dreamed of Utopia and We Woke up Screaming. A writer for the Algerian news site Casbah Tribune, he has also served as Visiting Editor of the literary supplement Kalimat for the Lebanese newspaper Al-Akhbar. He is currently working on the translation of two French novels to be published in 2018 by Barzakh Press.